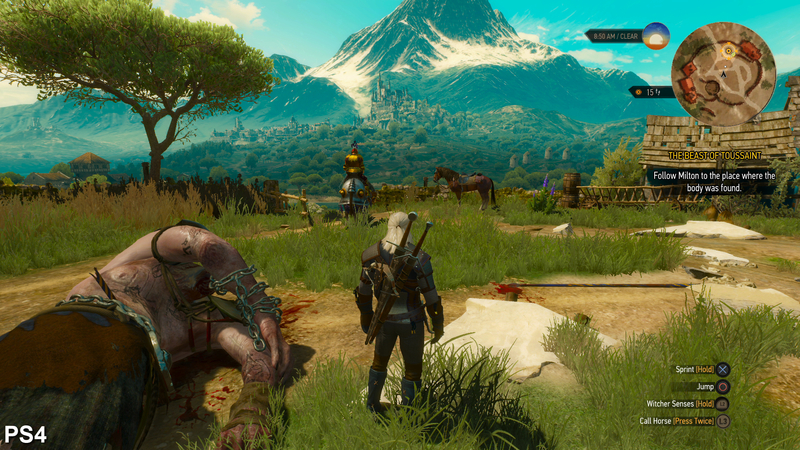 The Witcher 3: Blood and Wine analysis, showing the difference between console and PC - plus a frame-rate test on PS4 and Xbox One. 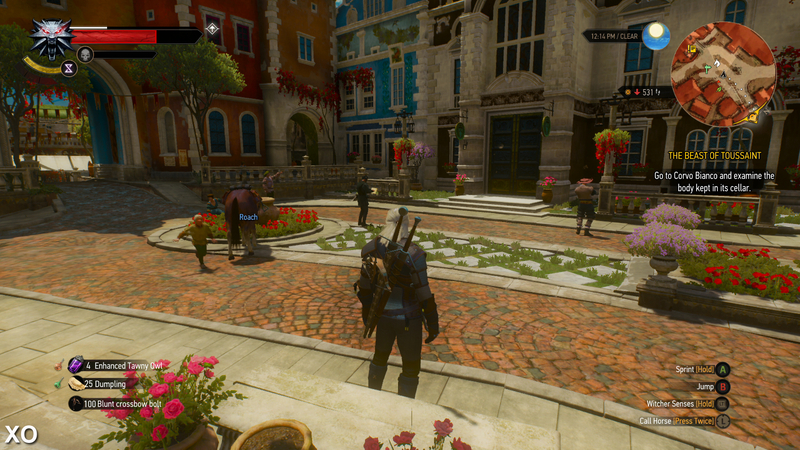 The good news is this area looks gorgeous on both consoles, but a question hangs over how performance holds up. 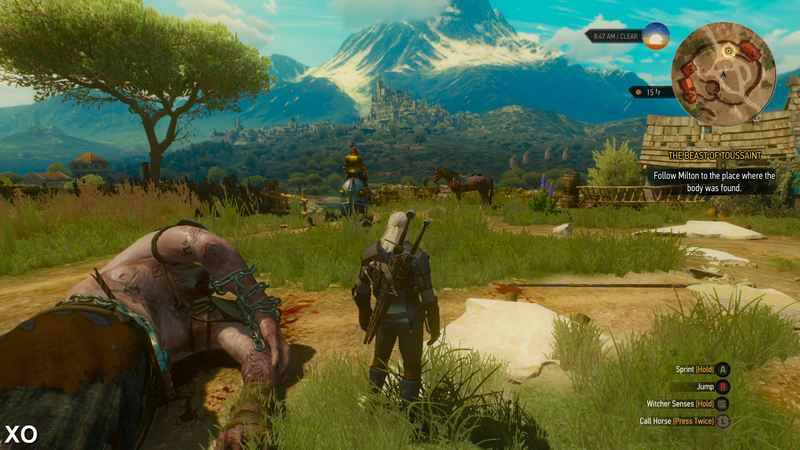 In going into such a detail-rich area, we'd hope to not see a repeat of Crookback Bog's performance - an area of the base game in which PS4 and Xbox One played closer to 20fps. Fortunately, this Blood and Wine expansion's first two hours run at a near locked 30fps for the most part, and Geralt's journeys by horseback are only interrupted by occasional, one-off stutters. 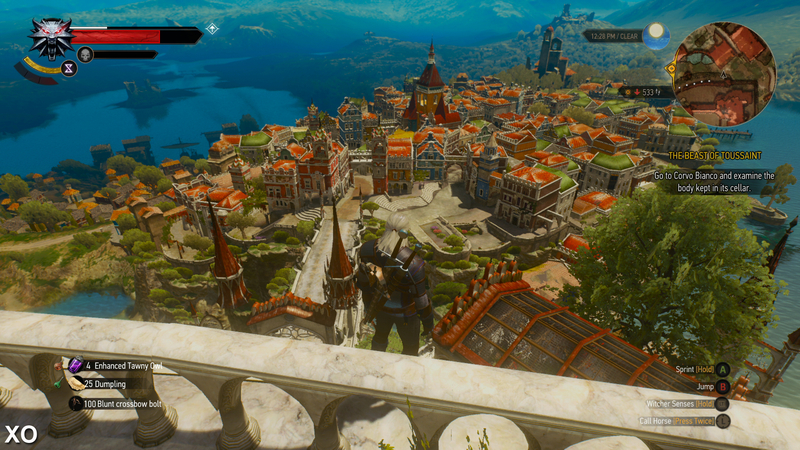 However, as we venture closer to the city, Xbox One begins to fall short of PS4's performance level. Both consoles suffer a single streaming hiccup as we approach the castle (an irregular, one-off 15fps hitch that's hard to repeat), but it's Xbox One that continues to drop frames after this point. 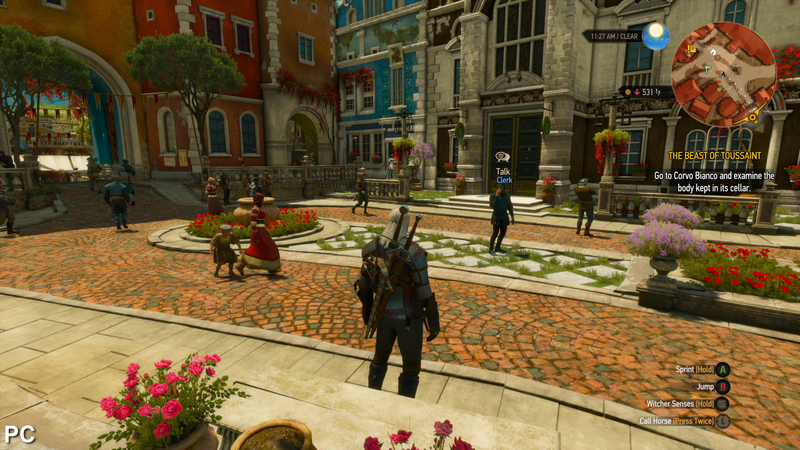 Cantering through a bustling market street, Xbox One settles at a 28-30fps range of performance overall, compared to a sturdier 30fps line on PS4. The good news is that moving further into the city puts both neck-and-neck at the target 30fps once again. In other words, this city area runs well once we get to its centre, but on approach Xbox One has more issues holding a firm 30fps. Likewise, in earlier battles with the river-dwelling Scurver creatures, Xbox One struggles as we land each blow - and in particular as they detonate once pushed to a final sliver of health. 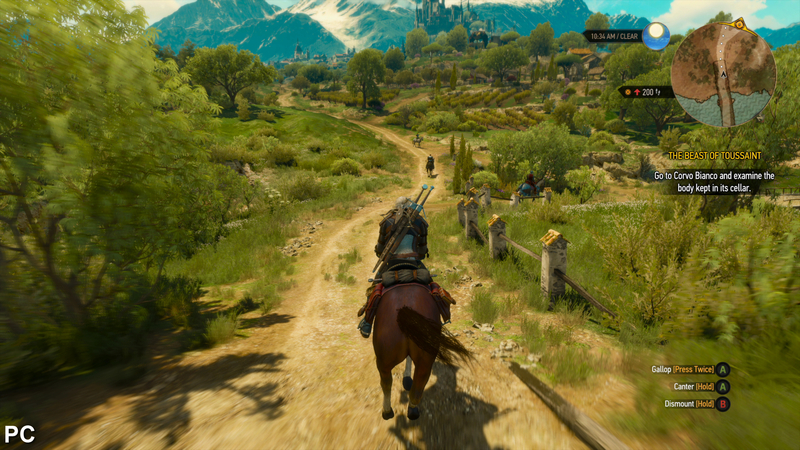 At lowest we see a dip to 26fps on Xbox One in this case, while PS4 drops frames to 28fps at its lowest. This isn't the typical result in most battles however, and an encounter with the Golyat boss shows barely a dip on either format. 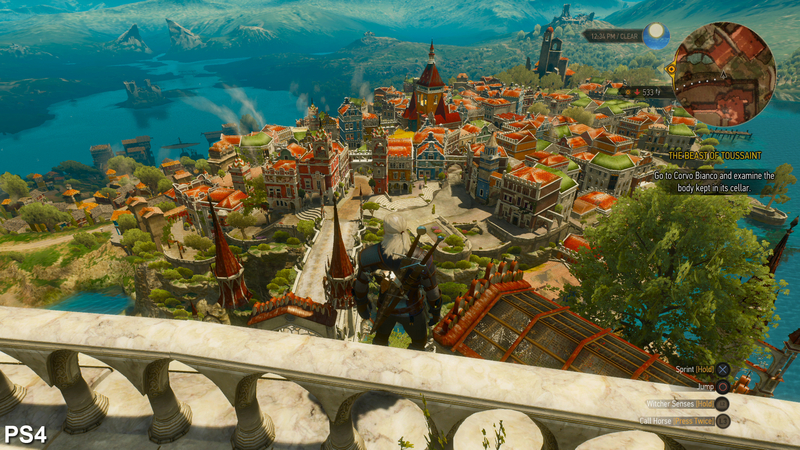 Toussaint's main city show a divide in draw distances between PS4, Xbox One and PC. Consoles fall short in terms of shadow and foliage draw, much like the base game - while Sony's machine renders in a few extra trees over Xbox One from this range. 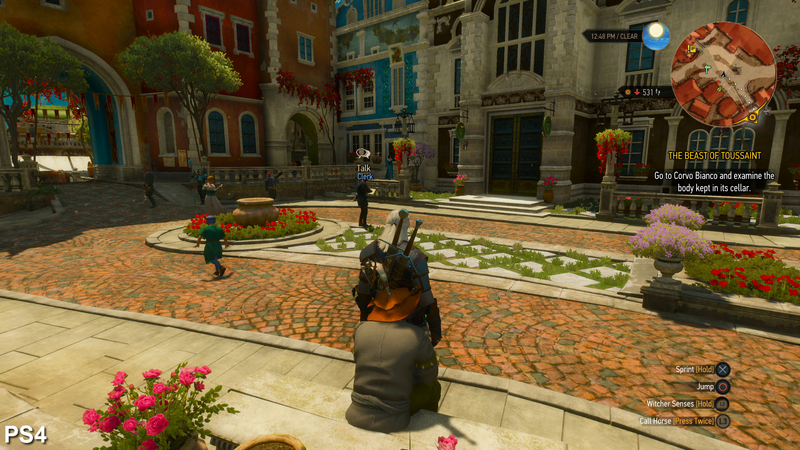 Texture detail is a match on all formats, but dulled on Xbox One from this distance, due to its 900p native resolution. 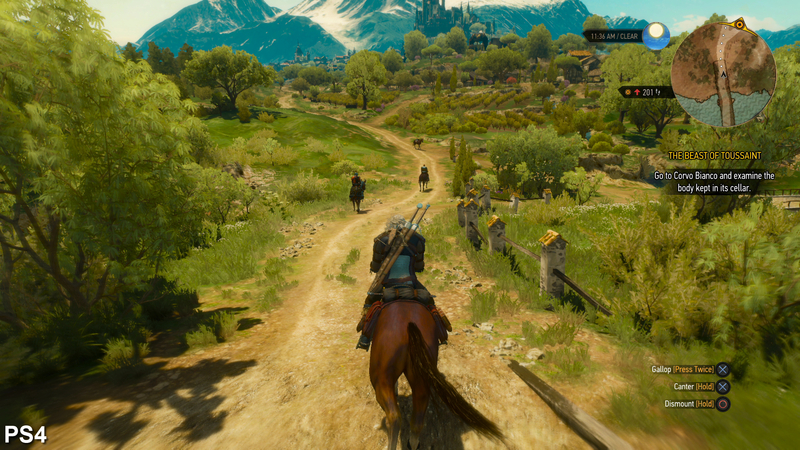 Meanwhile PS4's native 1080p falls much closer to results seen on PC. Another shot to show the difference in foliage and shadow draw, with PC taking point. 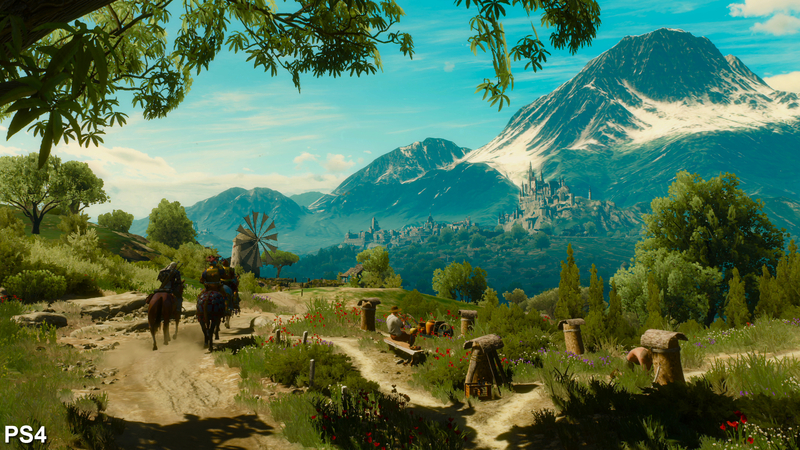 The core aesthetic of Blood and Wine carries over beautifully to console, reproducing the look of France's southern provinces. Characters are identical in detail up close too., though again PC draws in more detail across the distance in this shot. 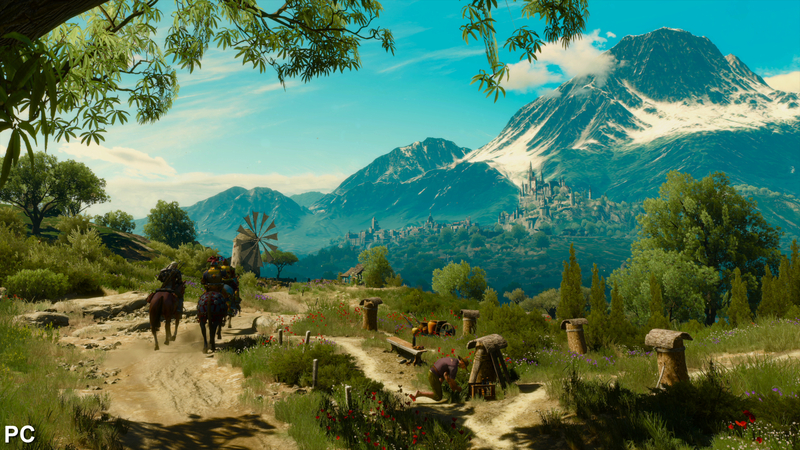 As a whole, PS4 and Xbox One's performance in Blood and Wine is largely on par with the better sections of the base game, and we've yet to encounter anything as testing as Crookback Bog. Given the complex visual design of this expansion, frame-rate delivery is still usually smooth on both consoles - though PS4 gets the better deal overall, with a tighter lock on 30fps, broader foliage draw distances and a native 1080p image. It's impressive how much of the PC rendition of this region holds over, and it's only on sweeping pans from the castle's upper levels that we see any cutbacks on PS4 and Xbox One. 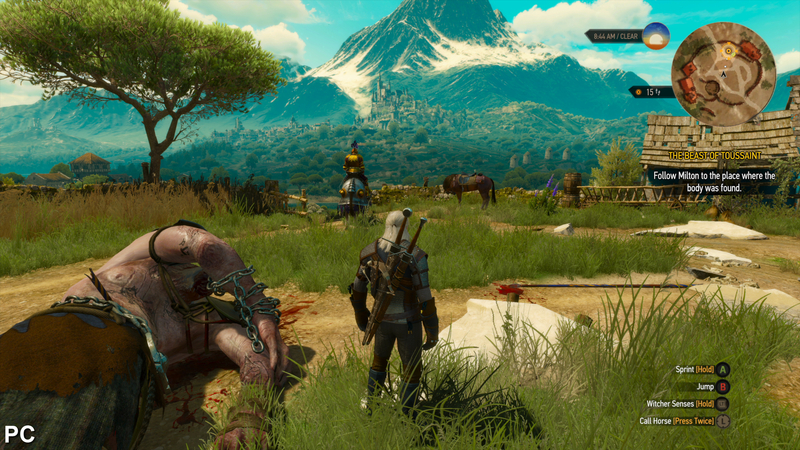 With each patch after its release, CD Projekt Red has attempted a finer balance between The Witcher 3's visuals and frame-rate on console. Technically, this latest expansion marks the team's biggest step forward, with optimisations allowing for more ambitious visuals, and with fewer penalties in performance. 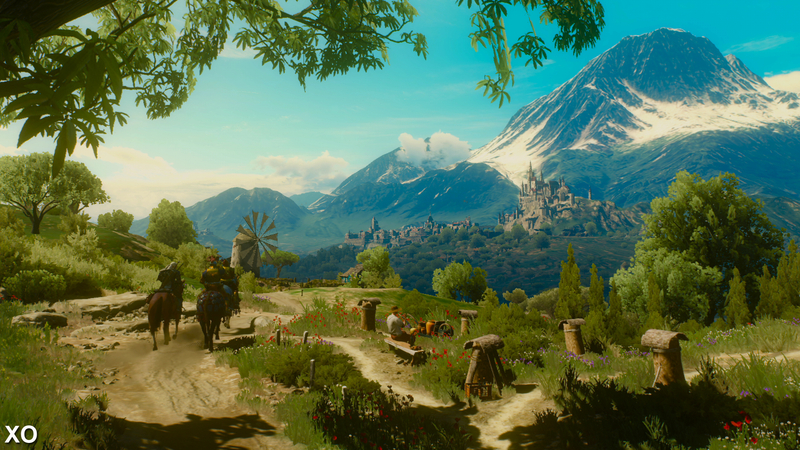 It may be the last foreseeable update to The Witcher series, but Blood and Wine is a great finishing note - and hopefully a sign of how its upcoming Cyberpunk 2077 project will fare on console.